The app, called Reflex, works exactly like a pupillometer and can take a digital video recording with a smartphone of an individual’s eye to measure a response called “pupillary light reflex.” Basically, the user holds the camera up to an eye, taps the screen and a light flashes to initiate a response from the pupil. Reflex is a Class I regulated medical device, according to the U.S. Food and Drug Administration. 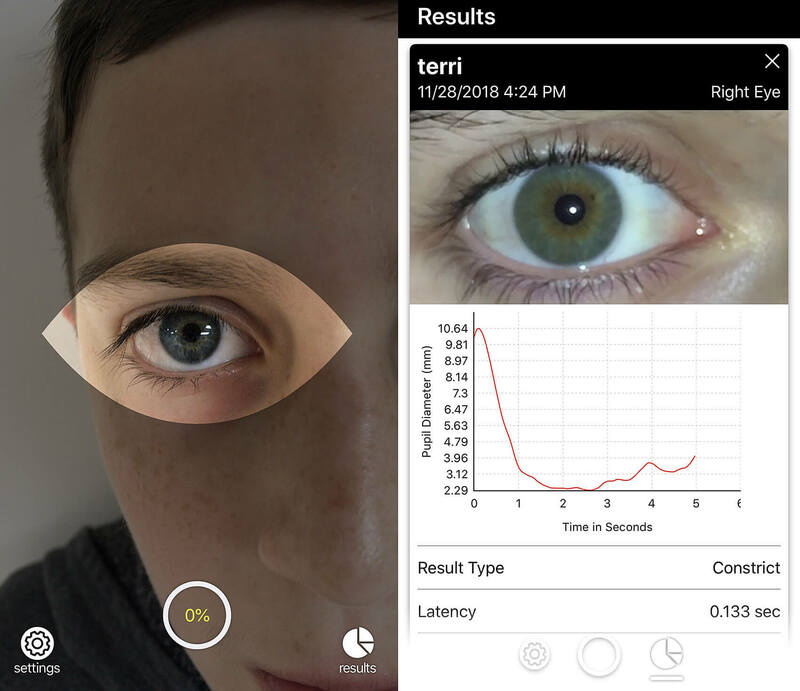 The ultimate goal is to let a sports youth coach or parent to use a version of the app that can suggest there is a problem, but that would require approval from the FDA, which will take years, said Kurtis Sluss, Brightlamp’s CEO. 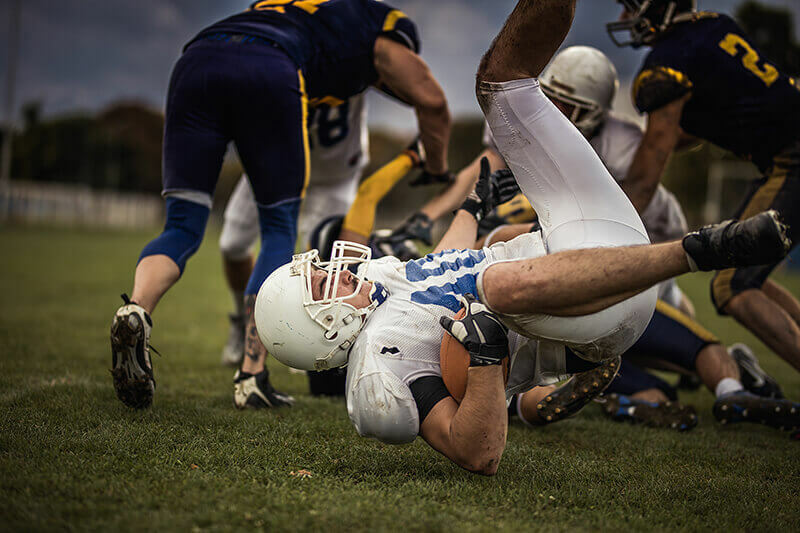 A study by researchers at Butler University released in 2018 found that duping one of the nation’s most common screening tests, the Immediate Post-Concussion Assessment and Cognitive Test, or ImPACT , was significantly easier than previously measured. Sluss said Brightlamp’s method can’t be duped. “Our test is unbiased. It’s based on natural response, so you can’t beat it. It also gives direct insight into the brain,” he said. Brightlamp recommends that users take a baseline test before an athletic season begins, but Sluss said it isn’t necessary. “There’s a normal physiological response across the human population, so we know what normal areas are,” he said. Sluss and Michael Heims co-founded Brightlamp when they were Purdue students. Sluss graduated with dual graduate degrees from Purdue’s Davidson School of Chemical Engineering and Department of Chemistry, and Heims graduated from Krannert School of Management with degrees in finance and management. Sluss and Heims each received commercialization guidance from the Purdue Foundry, an entrepreneurship accelerator in the Burton D. Morgan Center for Entrepreneurship in Purdue’s Discovery Park. Sluss completed Firestarter, a program to guide entrepreneurs through the ideation and startup development product and introduction to customer discovery workshops for information on entrepreneurship. The technology aligns with Purdue's Giant Leaps celebrating the university’s global advancements made in health, space, artificial intelligence and sustainability highlights as part of Purdue’s 150th anniversary. Those are the four themes of the yearlong celebration’s Ideas Festival, designed to showcase Purdue as an intellectual center solving real-world issues. Medically trained professionals can download Reflex from the iOS app store.